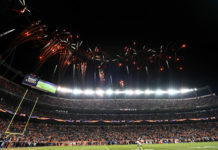 On Saturday night – somewhere stuck in the minutia of The Fight of the Century, the Kentucky Derby hangover, the Clippers-Spurs Game 7 and the mind-numbing aftermath of the NFL Draft – the Colorado Rapids notched their third straight draw (their sixth on the season) against the L.A. Galaxy. Strolling onto the pitch in to cool night air of Southern California, for the first time since March 21, was Rapids homegrown star Shane O’Neil. For whatever reason, the Rapids haven’t been able to find any playing time for O’Neill. Nor can they find any for Dillon Serna. 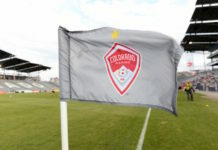 Both at 21 years of age, O’Neill and Serna are two of the youngest players on the roster; they’re the youngest in terms of Rapids who regularly contribute. But it’s not as if O’Neill and Serna are rookies just now beginning to get a feel for professional soccer. In fact, they’re as seasoned as possible considering their age. Both players are accustomed to real playing time at the country’s top level. Serna made his debut in 2013; and in 2014, he was a mainstay on Mastroeni’s midline. On the season, he played in 27 games, earning 18 starts. O’Neill has contributed even more. Debuting in 2012, the product of Boulder’s Fairview High School played in 26 games in 2013, starting in 24. In an injury-plagued 2014 campaign, O’Neill played in 21 games, but started in all of them. Oddly, it appears both players have fallen out of favor in Commerce City. Saturday’s start against the Galaxy marked O’Neill’s second of the season. On the year, the local product has played in just three games. Against Philadelphia in the opener, he came on as a substitute, logging 16 minutes. The next game against New York City FC, he earned the start and helped guide the defense to a 0-0 shutout. And then this past weekend against Seattle, O’Neill got the nod in favor of Bobby Burling. But in between his two starts – a six-game stretch that produced one win, one loss and four draws – O’Neill played exactly zero minutes. In two of those games (against the Red Bulls and Houston), he wasn’t even an eligible reserve. For Serna, the numbers are equally telling. On the season, the young midfielder has played in six games, but for a mere 134 minutes. He’s logged just one start – the opener against Philadelphia in which he went a full 90 minutes – and has essentially been used as a late-game substitute ever since. Mastroeni has most regularly plugged in Serna as “last push” spark, typically somewhere north of the 80-minute mark. Serna is competing in a crowded midfield, but it’s not as if the production from Nick LaBrocca, Juan Ramirez and Lucus Pittnari has been irreplaceable. LaBrocca, who’s played 284 minutes, has one goal on the season. Ramirez and Pittnari have logged seven and nine starts, respectively, but have contributed only one assist each. With limited opportunity, Serna has one goal on the season and leads the club in goals per 90 minutes of play. At this point, and with the Rapids producing an uninspiring nine points and a record of 1-2-6 (good for last in the Western Conference), the question must be asked: Why aren’t O’Neill and Serna playing? How can an MLS team that isn’t performing at a high level not find more minutes for two players who earned a spot on the U.S. Men’s Senior National Team during the offseason? O’Neill accepted an invitation to his second stint with the USMNT, while Serna enjoyed his first call-up. But it was more than just a token invite for the two young Rapids. After all, both players took a huge stride when they advanced past Jurgen Klinsmann’s January training camp and actually got to slip on the national team’s jersey as a part of the 23-man roster for friendlies against Chile and Panama. If they’re good enough for Klinsmann, how can a team that’s in last place in the MLS Western Conference not benefit from their talents? Heading into the season, it was widely believed that both O’Neill and Serna would earn roster spots on the U-23 Olympic team in the summer of 2016. Then again, one has to wonder how much they’ll grow as players if they can’t even find the pitch with their own MLS team. Surely, Klinsmann must be wondering what the Rapids are doing with “his” two prodigies, youngsters who could potentially factor into the plans of the USMNT for years to come. And surely, O’Neill and Serna can’t be happy. As young players with huge upside – both nationally and internationally – they’ve got to wonder if their current treatment isn’t stunting their growth. If the Rapids were winning, and somehow playing time just hadn’t found O’Neill and Serna, then their lack of presence might be understandable. 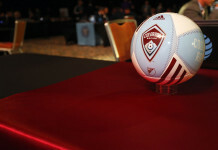 If the club was tallying victories and sitting atop the standings without the services of O’Neill and Serna, it would be tough to question the decision making – but since the Rapids are not, let the questioning begin. Now is not the time to alienate two of Colorado’s brightest stars. In fact, it’s time to embrace them. Losing is frustrating enough, but going down without developing players who could represent the franchise and the state in the Olympics and beyond borders on unacceptable. Shane O’Neill and Dillon Serna should be the face of the Colorado Rapids for years to come. The only justifiable scenario in which they won’t be is if they “graduate” onto a bigger stage, something along the lines of the English Premier League or the Bundesliga. But if they can’t find the pitch with the Rapids, they’ll eventually leave by choice. And if one day they become mainstays on the U.S. Men’s National Team, soccer fans in Colorado won’t be able to claim them as their own. And nobody should wish for that.